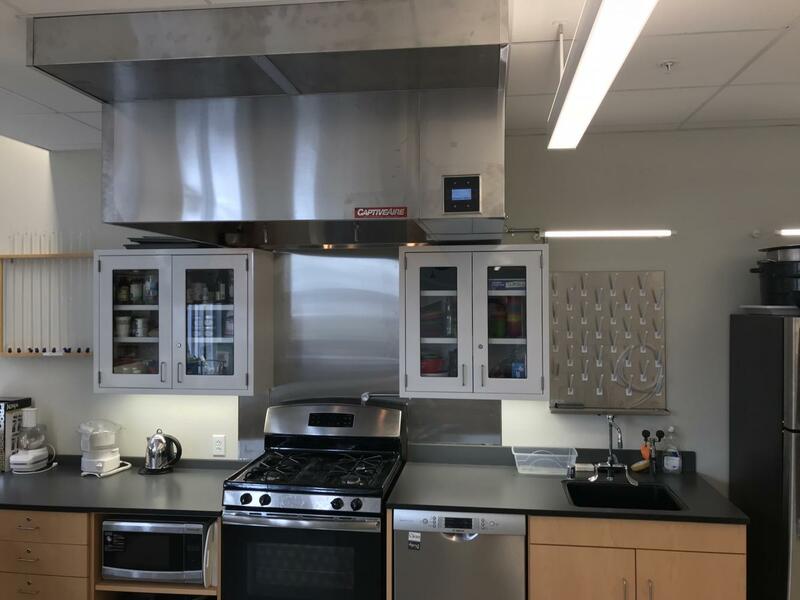 The new hood has been fitted on the stove in Room 202. The hood will increase fire safety in the room. Students returning to campus will see some of the changes that were implemented over the summer in the chemistry classroom, amongst the faculty and on the schedule. Improvements made in the chemistry classroom were centered around bettering safety. Aside from physical campus changes and improvements, this year’s faculty looks different than last year. Devin Harvey is joining the Mathematics department and teaching Algebra I and Algebra II. David Jacobson is teaching Latin to both IB Programme candidates and college prep students. Susan Wilson is joining the English department, as well. Replacing former Director of Admissions Shuja Khan is Greg Lobe, who will assume Kahn’s old office as the new Admissions Associate. The daily schedule has again been tweaked, eliminating the unpopular Tuesday schedule where students took three classes before a late lunch. Chapel has been moved to Monday mornings after the first two periods. Chapel’s previous time, Friday’s before lunch, is now home to a meetings period, similar to the ColLab period on Tuesdays. D Period precedes C Period, and H Period precedes G Period on Wednesdays and Thursdays to prevent students with early dismissals due to sports from repeatedly missing the same class on consecutive weeks. Student Council will be taking a greater role in assemblies and community gatherings, including religious observances such as Day of the Dead and Sacred Heart feast days.